To install and set LightDM as the default display manager, follow the directions in the artical on how to install a graphic desktop in Linux. Additionally, install the following packages. By default, the /etc/lightdm directory may not contain the lightdm.conf file.A starter configuration file is located at /usr/share/doc/lightdm/lightdm.conf.gz. The starter configuration file can be extracted, and then moved the /etc/lightdm directory. At minimum, you are goiing to want to select your default greeter and desktop environment in the lightdm.conf file. For example, if LightDM is being used with Linux Mint, you may want to set Unity as the default greeter and Cinnamon as the desktop environment. 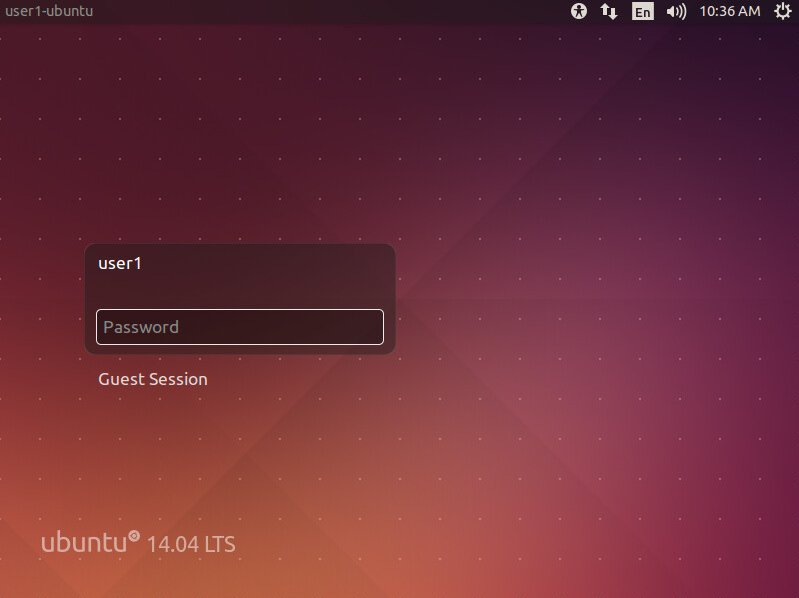 With these configurations, you should now get the LightDM greeter at the login screen. By default, LightDM will have an option for the Guest Account at the login screen. To remove Guest Account from the login screen, add the 50-no-guest.conf file to the /etc/lightdm/lightdm.conf.d/ or /usr/share/lightdm/lightdm.conf.d/ directory. Add the following to the 50-no-guest.conf file. Use the user-session option to set a preferred session. As an example, user-session=xfce.desktop sets Xfce Session as the default selected session. The /usr/share/xsessions/ directory will list the exact name for each available session. Use the greeter-session option to select a preferred greeter. As an example, greeter-session=lightdm-gtk-greeter sets LightDM GTK as the greeter. The /usr/share/xgreeters/ directory will list the exact name for each available greeter.